IB Recruitment 2018 News: Get here all new alerts on job notices issued by Intelligence Bureau (IB) recruitment 2018 for various posts by Ministry of Home Affairs in coming months, till you may see previous circulars. The broad cast advertisement notice of IB jobs is given at official page www.mha.nic.in. Stay connected with us for all new posts of Intelligence Bureau Recruitment 2018 notification...The complete details of IB Recruitment 2018 regarding posts, age limit, salary, qualification, selection process, application fee and how to apply etc are mentioned below….. The Intelligence Bureau (IB) was established in 1947. It is India's internal intelligence agency and reputedly the world's oldest intelligence agency. This government department has its official site www.mha.nic.in. Recently this department issues recruitment notice for 1054 Posts of Security Assist. Jobs. In this portal we will provide all information regarding IB Jobs. Candidates can check all information regarding the same from here. The interested and eligible candidates may apply online only through the official website of Intelligence Bureau (IB) (See Application form’s link given below) from dated 20.10.2018 to 10.11.2018. Earlier Intelligence Bureau (IB) announce recruitment notice for 750 Assistant Central Intelligence Officer Jobs. Eligible candidates have to apply online on or before 09 November 2014. Get online notification of IB Recruitment given at official website www.mha.nic.in. Guys before submitting your application you must read all instructions carefully. We will provide all information of IB Jobs in this page with Salary Grade. The candidate should have Graduate Degree in any discipline from the well reputed recognized university and computer knowledge. The shortlisted candidates will be called for Written Test/ Interview. The candidate should have a Post Graduate Degree in any subject from a recognized University or College. The candidates are selected on deputation consisting of Short term Contract and Promotion. 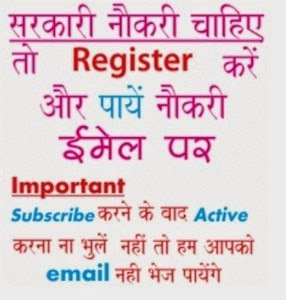 Yes your Admit Card/ Hall Ticket/ Call Letter or Roll No. will appear on your computer screen, check your exam centre details and read carefully all the instructions given on it before going to exam centre, take its print out and best of luck for your exam. The candidate should be 10th Pass & ITI Certificate in Communication/Radio Technician/Electronics/Electrical. The candidates are selected on the basis of Written Test, Skill Test and Interview.